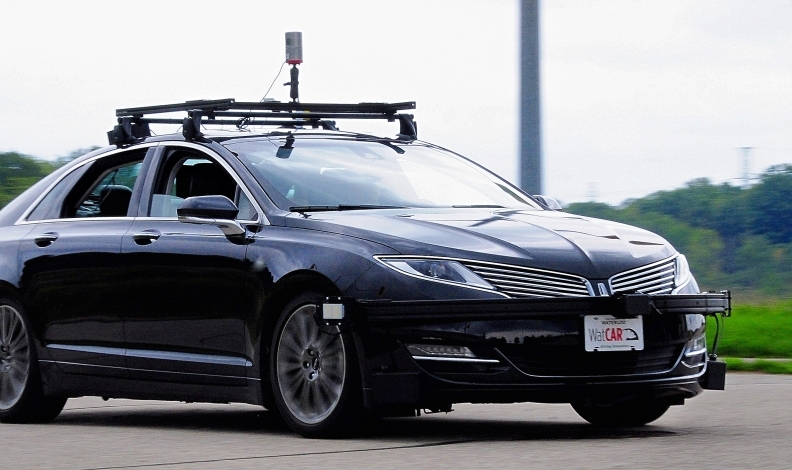 The University of Waterloo is already testing autonomous vehicles on roads in Ontario, but one researcher from B.C. thinks logging roads might also play a part. OTTAWA — Autonomous vehicles might get their first broad application not on Canadian highways or city streets but on Canada’s vast network of forestry and mining roads, federal legislators heard June 14. Researcher David Michelson told the Senate’s committee on transportation and communications that private and limited-access roads offer a huge test bed for AV development addressing Canadian geography and weather. “In British Columbia alone, over 620,000 kilometres of resource roads serve the natural resources [industry], remote communities and recreational sites,” said Michelson, co-chair of an Intelligent Transportation Systems Society of Canada committee on connected vehicles. The University of British Columbia professor was the latest of more than 40 witnesses to testify before the Senate committee, which is to release a report in December aimed at forming a road map for connected and automated vehicles in Canada. The diverse list of speakers has ranged from Mark Nantais, head of the Canadian Vehicle Manufacturers’ Association, to consumer advocate and Automobile Protection Association director George Iny, as senators try to come to grips with the wide-reaching impact of coming AV technology. “It is a vast study,” said committee chair Senator Dennis Dawson, who points to implications for privacy as cars become as knowledgeable as our cellphones about our movements and shopping habits, and for employment as truck and taxi drivers see their roles supplanted by radar, lidar (light, distance and ranging), cameras and computers. “Automation in general, not only the car side of it, but everything that will follow, will have major economic impact,” Dawson said in an interview with Automotive News Canada. One question the committee might have trouble answering, given the scope of AV research and the proprietary nature of so much of it, is when the technology will arrive. But all agree it will be soon. “We’re just so near the tipping point, but we’re just not there yet,” Michelson told Senator Rosa Galvez. Rather than a wholesale transformation, however, it will happen in stages, and the first could be on resource roads. Michelson said FPInnovations, the Canadian forestry industry’s non-profit research arm, is working on a system that adapts existing connected-vehicle technology to the sparse traffic and challenging physical environment of back country roads. Senator Art Eggleton said the resource sector applications could provide valuable assurance of the viability and safety of automated transportation. he transportation committee will hear more witnesses in September before preparing its report.